Our JRE600/E6000 Glues are the TOP SALES in Shopee! Best price and quality! Buy with confident, the rating of this product is 4.9 out of 5.0. All sizes come with 1 pcs nozzle. It has a gel-like effect after fully cured. It can be peeled off without damaging the working surface. Unlike elephant (3-second) glue, this JRE600/E6000 will NOT damage the surface of the rhinestones/glass/plastic. 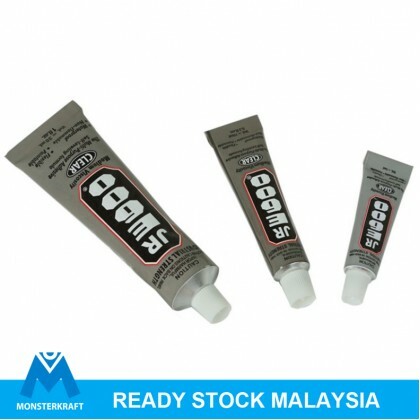 Check the video to see the projects made using this E6000/JRE600 glue. Clean the residue glue around cap before putting the cap back. We're local seller (Malaysia) with Fast Shipping and Better Support. Orders will be posted out within 1-2 working days. Delivery is usually next working day after posting (depending on the areas of coverage by Poslaju).